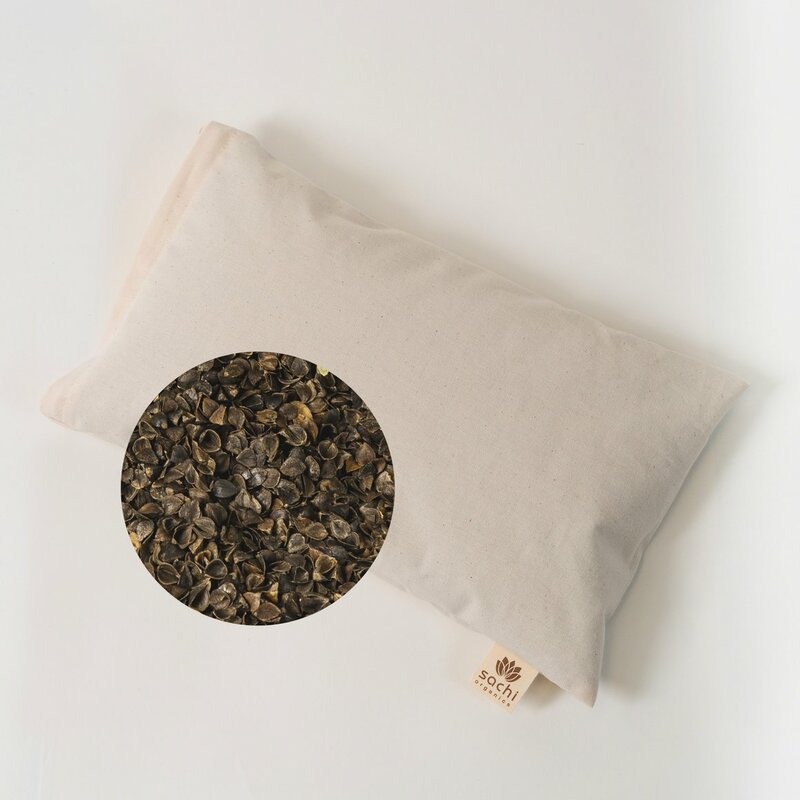 Wrapped in organic cotton canvas, this Sachi Organics Pillow is made in three different sizes with two different hull fill options- Organic Buckwheat or Organic Millet. 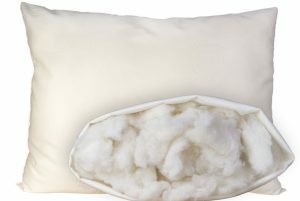 Hull filled pillows are renowned for their supportive properties. The hulls conform around your head and neck giving you extra support. 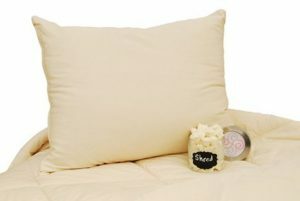 Additionally, air circulates easily through the pillow. 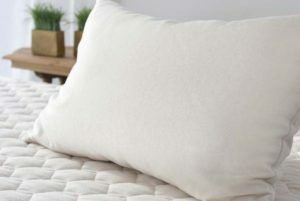 You can adjust the loft of your pillow by removing or adding hulls. $34.00 – $64.00 On Sale! Availability: Ships directly from the manufacturer in 1-2 weeks. 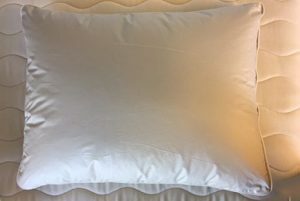 Pillows are smaller than standard size pillows. Small is 9″ x 15″ (1 pound of fill), Medium is 12″ x 16″ (2 pounds of fill), Large is 14″ x 20″ (4.5 pounds of fill). What is the difference between buckwheat and millet hulls? 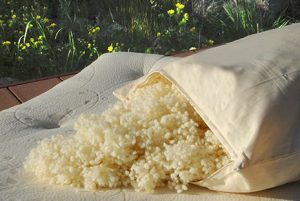 Buckwheat hulls are large hulls that trap a lot of air which is then blown through the pillow when we move in our sleep. Buckwheat hulls rustle when we move. Millet hulls are tiny, they make no sound when they move and the filling feels smooth and velvety. 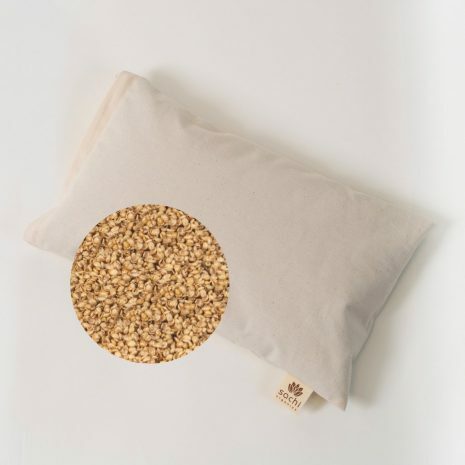 Millet hulls are not softer than buckwheat hulls, but they do feel more velvety because they are so tiny, round, and smooth. 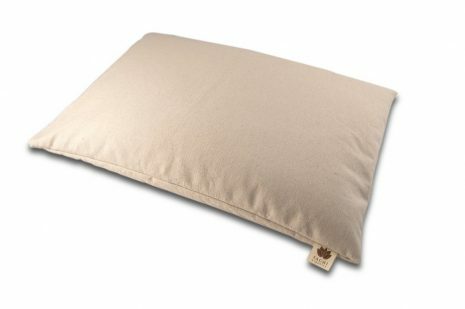 All hull pillows are temperate (they do not take on heat in the summer or cold in the winter). Buckwheat hulls ventilate more easily given their large irregular shape. 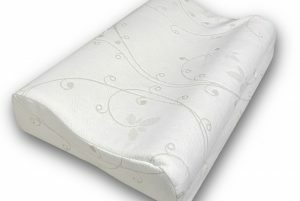 This will make a difference for those who tend to perspire at night and wake up to a damp pillow every morning). Sachi buckwheat and millet hulls are domestically sourced. 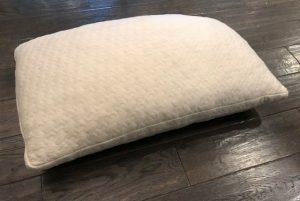 The pillow is hand made in Albuquerque, NM. Sachi Organics Kapok Pillow $90.00 – $110.00 Made with silky kapok. 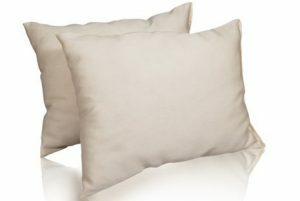 Our softest feeling pillow!